A tireless child advocate, Gladys writes a newspaper column called “Lost and Abandoned,” in which she briefly profiles kids who have lost track of their families. The hope is that a family member or relative will read the column and recognize a child who has gone missing or been separated from familiar adults. Sometimes reunions are the result. But often they are not, and that’s when Gladys becomes deeply engaged in helping lost children who come her way. In Uganda millions of children lack parental support. Many are abused physically, emotionally, and sexually. In the capital city of Kampala alone, thousands of such children, ranging in age from toddlers to teenagers, roam the streets seeking scraps to eat and a safe place to sleep. Some of the lucky ones find their way to Gladys, who with her limited funds and time tries desperately to save them. Academy-award winning filmmaker Jessica Yu met Gladys when she was researching a documentary in Uganda. Compelled to write a book about Gladys’s vital voluntary work, she followed her on and off for four years, capturing in real time many of the dramatic rescues, and occasional failures, of the woman police or social service agencies call when they have another stray child in custody. Sometimes Gladys finds the kids herself or people who know her send her pleas for help. She never says no. 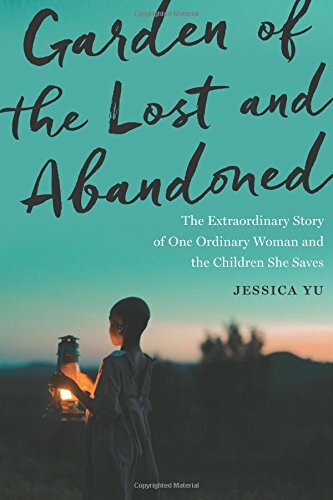 In her well-paced if perhaps a bit too long book, Yu shares stories of children like autistic Trevor, disfigured Ezra, teen mother Zam, orphaned AIDS siblings Alex, Annet, and Mercy and many more. Several chapters follow “the boy with seven names” as he finds his way back to his parents. Others share Gladys’s trials as she attempts to establish a working, warm family farm where children can live together safely under her loving guidance. We meet the people who support her and those who challenge her. We watch her astutely assess people and situations, including a possible fraudulent adoption operation, and we witness her fortitude, negotiating skills, and indefatigable commitment to her much-loved wards. That cheer is evident whenever Gladys squeals with delight at an achievement. “We’ve found our boy!” she shouts with joy. “That is life,” she says when facing obstacles. Adds Gladys, “It’s like people think that only saints can help others. Anyone can do it!” Anyone like Gladys, that is. The kids who love her are more than happy to agree.